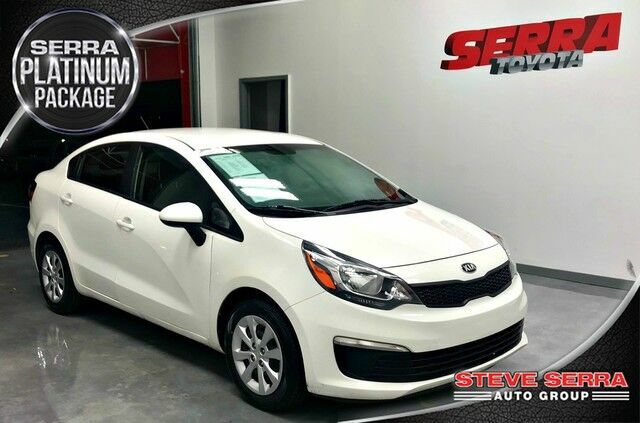 Serra Toyota is honored to present a wonderful example of pure vehicle design... this 2017 Kia Rio LX only has 39,549mi on it and could potentially be the vehicle of your dreams! Start enjoying more time in your new ride and less time at the gas station with this 2017 Kia Rio. You could keep looking, but why? You've found the perfect vehicle right here. Driven by many, but adored by more, the Kia Rio LX is a perfect addition to any home. You can finally stop searching... You've found the one you've been looking for.